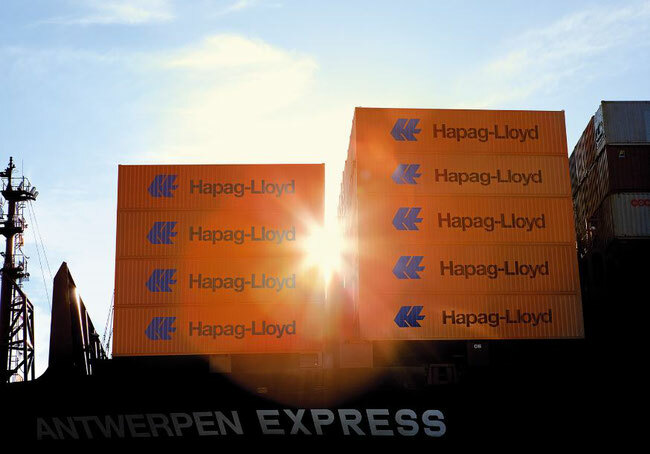 Hamburg, Germany based shipping line Hapag-Lloyd has turned down speculations to follow CMA CGM, adding a supply chain management company such as CEVA to its assets or partnering exclusively with an alike logistics service provider. The same goes for Maersk that interlinked with Damco. “This is no option for us,” explained H-L’s CEO Rolf Habben-Jansen to journalists last week at a press meeting. It was held at legendary Italian CUNEO Restaurant in Hamburg’s famous St. Pauli entertainment district. “We are open for all kinds of cooperation, but we don’t intend expanding our services by adding warehousing or alike complementary logistics activities to our core business of transporting boxes,” the H-L Chief explained to the roughly 50 press people attending the event. Thus, he clearly contradicted speculations H-L might follow the strategy favored by H-L’s French competitor CMA CGM who decided to engulf in a privileged partnership with Switzerland-based CEVA. 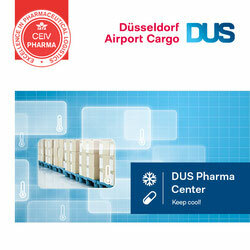 “We don’t see much synergies in running any warehouses on our own,” the executive emphasized. In contrast, Habben-Jansen and his management are pushing door-door booking solutions further ahead, offered by his company in combination with services rendered by local contractual partners. This product has grown substantially in recent months and is expected to develop even faster leveraged by an electronic booking channel that is becoming increasingly popular among H-L’s customers. In January 15,000 TEU were booked this way – each week. And figures keep growing. According to the CEO, 50 percent of H-L’s clients are direct customers with the other half being forwarders. He kept rather tight lipped with regards to the 2018 financial results. They will be officially announced on March 22, during the shipping line’s annual press conference. However, judging from his facial expressions at the media meeting, he seems to be very satisfied with the figures he can table next month. This even more since 2019 got off to a very encouraging start, he noted. Currently, the consolidated H-L fleet (H-L, UASC, CSAV) comprises 235 vessels of different sizes, with 112 owned by the shipping line and 123 chartered. 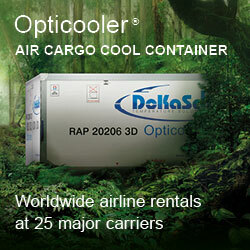 This capacity leads to a global market share of 10 percent measured by transported volumes. “On some trade lanes we have achieved a market share of 15 to 17 percent,” he said. “However, on intra-Asian routes and at U.S. Westcoast ports, particularly California, the situation remains challenging.” Having said this, he announced plans to develop the African market further because the prospects for higher cargo volumes are very positive. In Ghana, the port of Tema has become a West African sub hub connecting loads to the shipping line’s intercontinental East-West routes via Tangiers in Morocco. And East African harbors such as Mombasa or Dar Es Salaam are serviced by feeder traffic from and to Jeddah in Saudi Arabia. 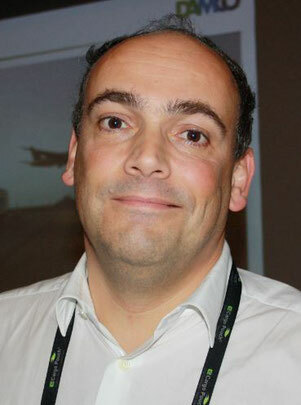 The manager is convinced that the orderbook for container vessels will grow only marginally within the next two years, “no more than 11-12 percent.” There is a lot of uncertainty in the market caused by ongoing trade disputes, the perils of unilateralism harming globalization and particularly the new environmental regulations coming into practice in 2020, implemented by the UN agency International Maritime Organization (IMO). Beginning next decade, the Sulphur content of ship exhaustion must be drastically reduced accounting for no more than 0.5 percent of the fuel burned by vessels. Until then, no big orders for building new ships will be placed, Mr Habben-Jansen estimates. Hapag-Lloyd achieved a higher operating result in the 2018 financial year than in the prior year. On the basis of preliminary and unaudited figures, earnings before interest, taxes, depreciation and amortisation (EBITDA) rose to EUR 1,138 million (2017: EUR 1,055 million). Earnings before interest and taxes (EBIT) rose to EUR 443 million (2017: EUR 411 million). Both figures are at the upper end of the ranges forecast for the 2018 full financial year (EBITDA: EUR 900 to 1,150 million; EBIT: EUR 200 to 450 million), which HapagLloyd announced on 29 June 2018. The main drivers are higher global transport volumes, steadily improving freight rates in the second half of the year, the merger with United Arab Shipping Company Ltd. (UASC), and the resulting cost synergies. For the fourth quarter of 2018, the EBITDA of EUR 324 million (Q4 2017: EUR 332 million) and the EBIT of EUR 142 million (Q4 2017: EUR 143 million) were nearly at their prior-year levels.